Ally has struggled to read for as long as she can remember. As she has watched her peers read alongside her in classrooms she has always assumed her inability to do the same is due to her being stupid. So she covers the fact she can’t read by acting out, covering her mistakes with jokes and attitude. Consequently, Ally ends up in the Principal’s office frequently for her behavior. She feels miserable about herself and what she believes others think about her. People act like the words “slow reader” tell them everything that’s inside. Like I’m a can of soup and they can just read the list of ingredients and know everything about me. There’s lots of stuff about the soup inside that they can’t put on the label, like how it smells and tastes and makes you feel warm when you eat it. There’s got to be more to me than a kid who can’t read well. Ally wants to believe there is more to her, to who she is as a person than what others seem to see, but she feels increasingly hopeless about the possibility of discovering what that might be. I don’t believe him, but it makes me happy he said it. 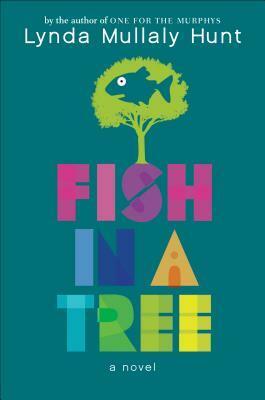 Fish In A Tree is a story about finding and believing in yourself. Many of us-child and adult–have been in Ally’s position: seeing ourselves as flawed, beyond help or hope, yet with that niggling little feeling that there is something more to us down deep. Without the knowledge of how to uncover it, nourish it and bring it forth into the world it’s easy to feel lonely and hopeless. As a teacher I have met students like Ally, have seen them make similar journeys and radiate with the knowledge of who they are when they find it. It is a magical thing to behold whenever, wherever it happens. Fish In A Tree gives the reader the opportunity to witness Ally’s transformation as she gradually uncovers those things about herself that DO make her special and wonderful in every sense of the word. It also gives the reader the chance to discover in Ally’s story pieces we can apply in our own lives as we look for the same realization about ourselves. Because the nature of Ally’s story also lends itself to conversations about differences and self-confidence Fish In A Tree is an excellent reading choice in an upper elementary classroom or as an independent or family bedtime reading option.